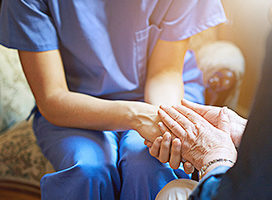 ParaMed’s Memory Care package provides peace of mind to clients and families managing and coping with the daily challenges associated with a loved one’s loss of memory and some cognitive challenges. 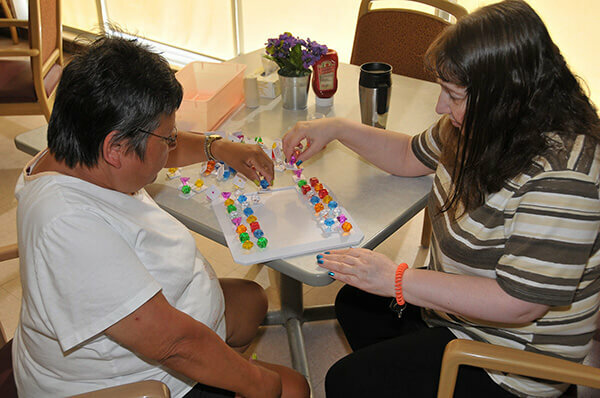 Our trained staff will provide dignified and respectful care and companionship with a focus on building relationships in a safe environment. 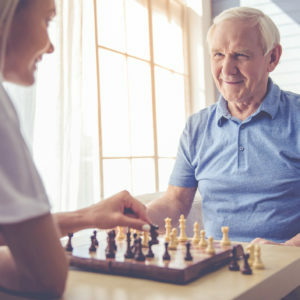 Have a question about Memory Care? We're Here to help. Good things are happening everyday at ParaMed. Whether it’s a brief encounter or a life changing event, we do everything we can to bring a remarkable moment into the homes of Canadians across the country daily. Thank you ever so much for all the help and assistance you gave during my husband’s illness. It was all greatly appreciated. Your height of professionalism is superb! Walter enjoyed many showers and walks with the staff from ParMed. Especially when Bola and Gary attended to him. Both of these people were very curious, sympathetic, patient, and kind. They were both very very clean and tidied up after each shower. We could not have had better services. A client believed Michael saved his life by identifying a clogged PICC line and sending the client to the Emergency Department. This client was extremely grateful for the care Michael provided. To make life easier for caregivers and clients, we have created simple service packages based around the needs of your family. 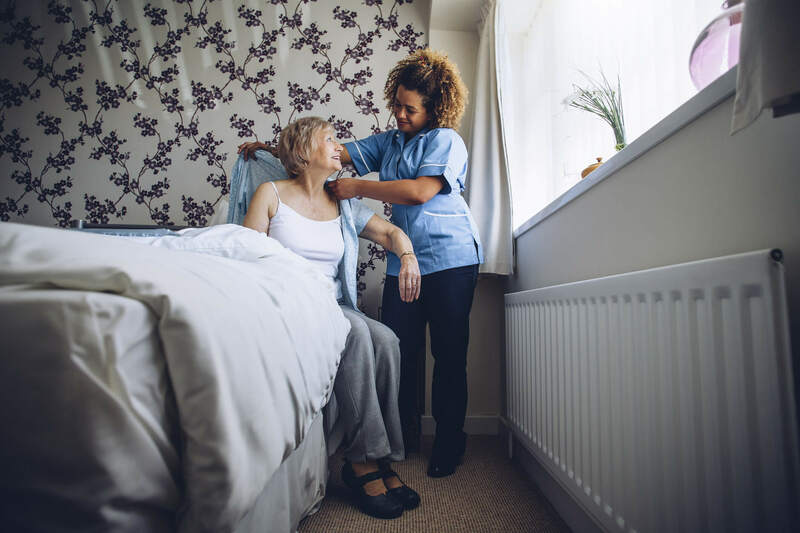 Our Rise N' Shine package helps you or your loved one start their day by offering assistance with morning personal care, assistance with dressing and other daily tasks. 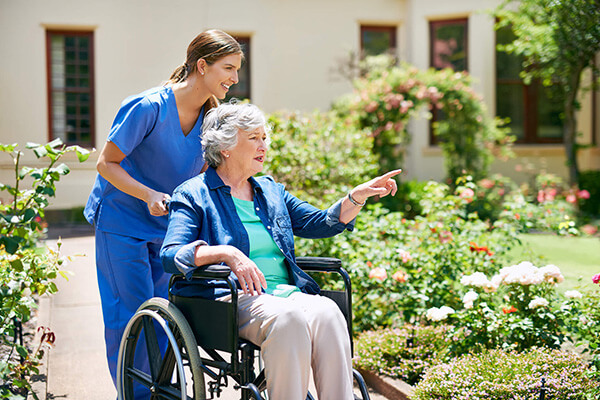 Our Out & About package provides the opportunity to you or your loved one to continue with everyday activities that are cherished and/or needed with the assistance of a ParaMed caregiver. 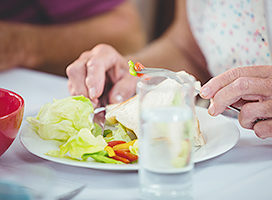 In the home or in a setting of choice, our Caregiver Freedom package provides an opportunity for families and primary caregivers to ‘take a break’ from the daily delivery of care and support of their loved one. 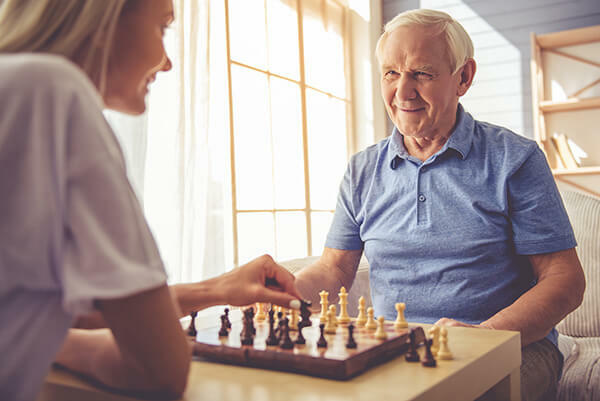 ParaMed’s Memory Care package provides peace of mind to clients and families managing and coping with the daily challenges associated with a loved one’s loss of memory and some cognitive challenges. 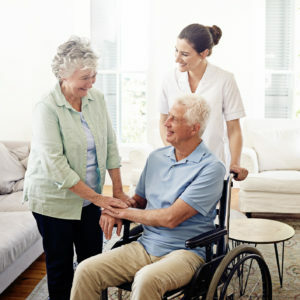 Trusted home care support is right around the corner. Let's get started today for a better tomorrow. 1. Tell us what services you or a loved one may need. 2. We'll send this directly to the office closest to you. Paramed has over 50 offices across Canada to help Canadians live better. 3. We will give you a call back within 24 hours of your reach out to make recommendations on the next best step. Are you looking for home support for yourself or a loved one? 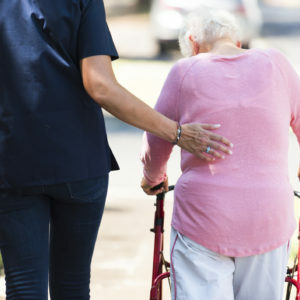 Which location is closest to where this person requires home care? 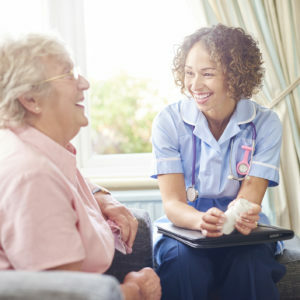 How quickly do you wish to have homecare services? 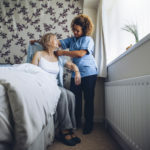 Do I get to choose my nurse/personal support worker? ParaMed works with you on matching yourself or your loved one with a ParaMed employee. 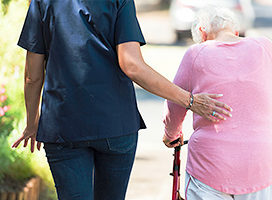 Will my loved one always receive care from the same caregiver? 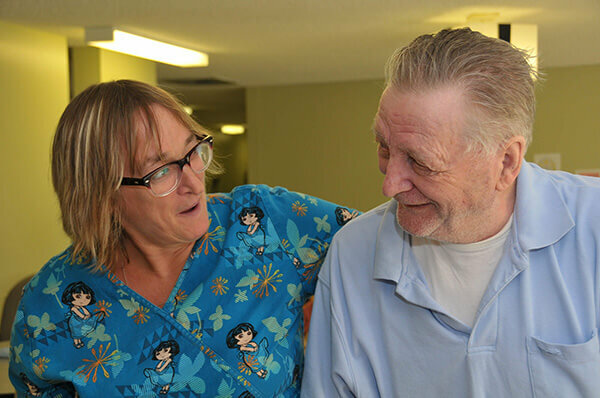 Our goal is to establish a long-term care-giving relationship with your loved one. 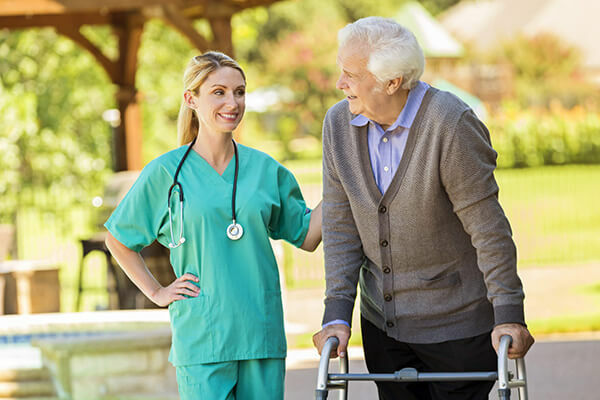 We understand that a strong and consistent rapport with the same caregiver is extremely important for a successful home care experience. 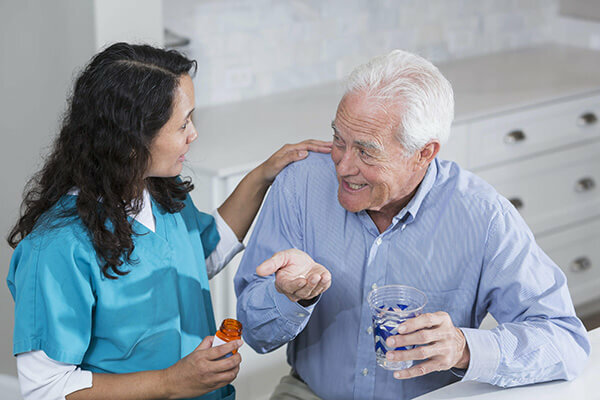 If your loved one receives care for many hours a day it is often necessary to schedule an additional caregivers, however, our goal of providing consistent care is the same. We want all of our patients and family to be happy and confident with ParaMed and we will do what it takes to achieve that goal. 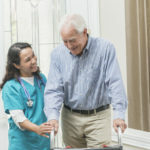 Do you only provide home care to seniors? 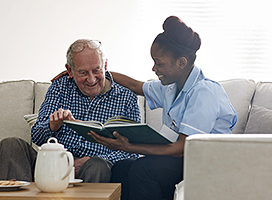 We provide home care services to anyone needing care, regardless of age. 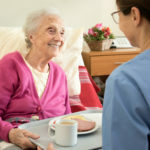 What if we don’t like the home health caregiver? Simple, we will send another. We want you and your Mom or Dad to be comfortable with their aide(s). No. Clients are invoiced once per month. 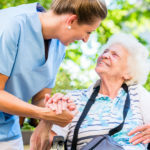 You never have to pay caregivers directly nor will you ever be asked to pay any additional fees to an employee. Can I change or discontinue services for my loved one? Yes. You can change the number of visits or type of care provided at any time. We understand that needs can change in an instant and we are flexible as possible with your loved one’s care. There are no weekly or monthly minimum requirements. There is a two hour minimum visit. You are never bound to a long term contract. You can discontinue services with ParaMed at any time. What happens if we need more support? Give ParaMed a call right away, we can add more services and work with you on selecting the services you need. How does ParaMed screen for a new employee? Potential employee applications are reviewed by a member of our Human Resources team to determine if the person’s qualifications match our requirements. This includes a review of their education, experience, and responses to our on line questionnaire.. The most qualified candidates are contacted for a pre screen. A Pre Screen consists of a phone call with a member of our Human Resources team. A representative calls the potential employee a series of questions to get more information about their qualifications, preferences and experience. This call lasts only 5-10 minutes. Following the call, responses are evaluated and the most qualified candidates are invited to participate in an in-person interview. During the interview, we ask a series of questions to determine the potential employee’s suitability for the position. We recommend that candidates bring a resume and references and they may be asked to provide additional documents such as proof of education. The interview typically lasts 30-60 minutes. Following the interview, responses are compared against that of other candidates. If the candidate is successful, the next stage includes the completion of background checks. Then the new employee begins their new career with a paid orientation at ParaMed! How Long Can I Keep My Family at Home? 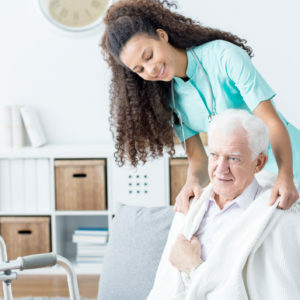 ParaMed brings the comfort and support you need at home with the right customized plan to preserve your loved ones independence and safety to help them live better. ParaMed is proud to be a nationally accredited provider with Exemplary Standing by Accreditation Canada.